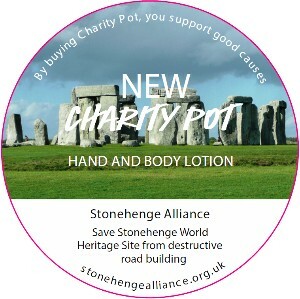 Throughout the festive season Stonehenge Alliance’s campaign is being promoted on the tops of popular Charity Pots by Lush cosmetics. 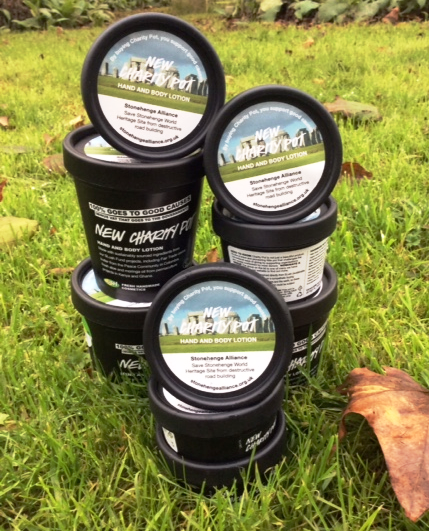 ‘Charity Pot’ is a big-hearted hand and body cream that does a world of good! A 100% of the purchase price (less taxes) is donated to the SLush fund that supports small, grass-roots organisations promoting environmental conservation, animal welfare and human rights. 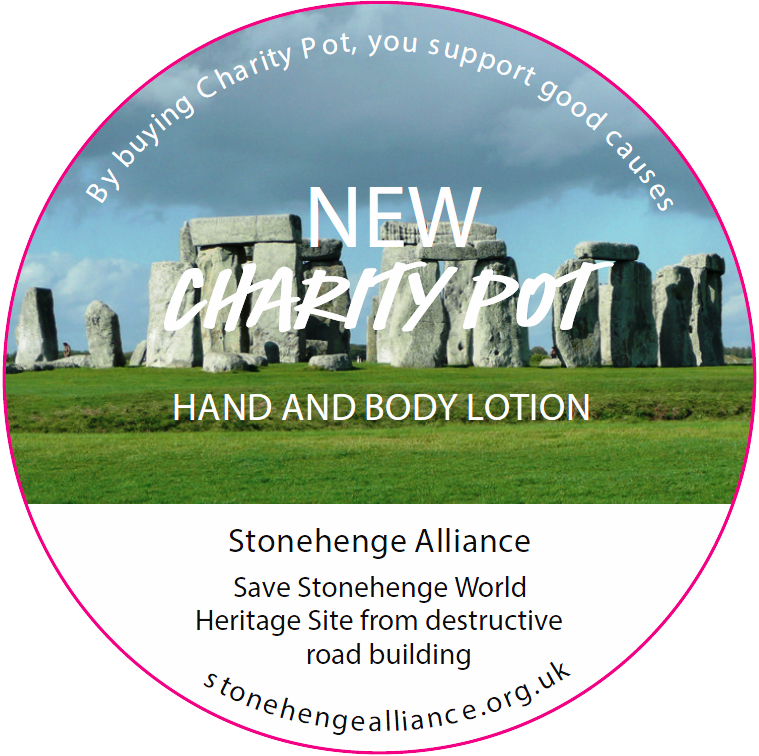 The Stonehenge Alliance has been selected as one of a number of groups from around the world to benefit from this nifty way of raising awareness: in our case, of the threat of road building to the Stonehenge landscape. We have already benefited in the past year from the generosity of the Lush fund, enabling us to set up this website and carry out other campaigning activities. The Hand and Body Lotion comes in three sizes. Ingredients are sustainably sourced using Fair Trade Colombian cocoa butter, Peruvian rosewood and Fair Trade olive oil. We are delighted that Lush promotion has chosen to help us raise awareness of the threat of road building to the precious Stonehenge World Heritage landscape during Lush’s busiest season. Thank you Lush for your partnership and for giving our petition a boost in the UK and abroad!